England 4-247 (Joe Root 68, Kevin Pietersen 50, Jonathan Trott 40, Mitchell Starc 2-60) trails Australia 9-492 declared (Shane Watson 176, Steven Smith 138, James Anderson 4-95) by 245 runs. The English batsmen adapted a defensive approach and scored just 215 runs in 98.3 overs led by the fifties from Joe Root and Kevin Pietersen on day three. The Aussies amassed 492 runs with one wicket still in hand when their first innings was declared and England managed 247 for the loss of four wickets in 116 overs. The third day’s play finished on Friday, August 23, 2013, at Kennington Oval, London. Earlier, the hosts got into bat at 32 after 17.3 overs whereas Alastair Cook and Joe Root were unbeaten on 17 and 13 runs. Root hit the first boundary of the day in the 19th over and Cook followed him two overs later. They were unable to hit any boundary in six overs and the visitors got the first success at 68 when Cook was caught behind by Brad Haddin off Ryan Harris for 25. 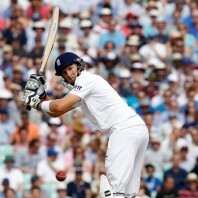 Jonathan Trott appeared next in the park whereas Root was playing a slow but determined innings. The first followed the pattern set by the two openers and did not take any risk while keeping him silent at his end. 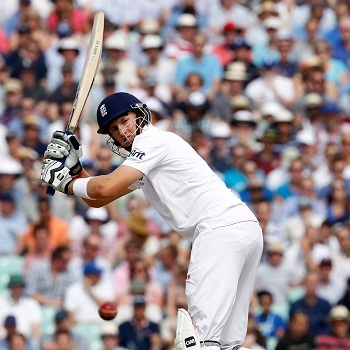 Joe Root posted his third Test fifty in the 43rd over and lunch was taken after the next one at 1-92. 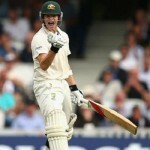 The second wicket partnership produced 50 runs in 22.1 overs and enhanced the score to 118 as Joe Root was caught by Shane Watson at short long on at the bowling of Nathan Lyon for 68 off 184 balls with 11 fours. Kevin Pietersen joined in next with Trott who got his first four on the 78th ball he faced while both of them kept on creeping. They were unable to send the ball out of the fence from 63rd to 74th one as Pietersen tasted his first four in the next over. The Australian captain, Michael Clarke, utilised six bowlers to dislodge the partnership but remained unsuccessful until the 81st over. Jonathan Trott was declared leg before wicket at that point for 40 off 134 deliveries with just two fours. The man in form, Ian Bell, associated with Pietersen as the score touched 3-181 after 82 overs at the tea interval. The second hundred of the innings was displayed on board in the 90th over and Pietersen survived an lbw review at 44. Kevin Pietersen attained his 32nd Test half century with a four and was finally gone at 50 off 133 with 4 boundaries. The debutant Chris Woakes got together with Bell and they saw off the remaining overs of the day without losing any wicket. Ian Bell was batting at 29 off 110 balls with 3 fours and Chris Woakes scored 15 from 49 as the home side reached 4-247 in 116 overs. 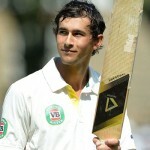 Mitahell Starc was the most successful bowler with two wickets whereas Ryan Harris and Nathan Lyon shared one each. Australia is still ahead with 245 runs and if they manage to grasp the remaining six wickets of England by lunch they can expect any result, otherwise the match is heading towards a draw.